1. I have a lot of wishes. I wish you can conduct yourselves in a proper and well-behaved manner, be faithful to fulfill your duty, have truth and humanity, be someone who can give up everything and give up their lives for God, and so forth. All of these hopes stem from your insufficiencies and your corruption and disobedience. 3. God’s correct requirements of mankind and those who follow Him are as follows. God requires five things of those who follow Him: true belief, loyal following, absolute obedience, true knowledge, and heartfelt reverence. 4. A genuine created being must know who the Creator is, what man’s creation is for, how to carry out the responsibilities of a created being, and how to worship the Lord of all creation, must understand, grasp, know, and care for the Creator’s intentions, wishes, and demands, and must act in accordance with the way of the Creator—fear God and shun evil. 5. As one of the creatures, man must keep his own position, and behave conscientiously, and dutifully guard that which is entrusted to him by the Creator. And man must not act out of line, or do things beyond his range of ability or do things that are loathsome to God. Man must not try to be great, or exceptional, or above others, nor seek to become God. This is how people should not desire to be. Seeking to become great or exceptional is absurd. Seeking to become God is even more disgraceful; it is disgusting, and despicable. What is commendable, and what the creatures should hold to more than anything else, is to become a true creature; this is the only goal that all people should pursue. 1. They must accept God’s commissions, which is to say, they must accept all of the words spoken in God’s work of the last days. 2. They must enter into the training of the kingdom. 3. They must pursue having their hearts touched by God. When your heart has completely turned to God, and you have a normal spiritual life, you will live in the realm of freedom, which means you will live under the care and protection of God’s love. Only when you live under the care and protection of God will you belong to God. 4. They must be gained by God. 5. They must become a manifestation of God’s glory on earth. 7. The words I speak are truths directed at all mankind, and are not addressed only to a specific person or type of person. Therefore, you should concentrate on receiving My words from the standpoint of the truth, as well as maintain an attitude of undivided attention and sincerity. Do not ignore a single word or truth that I speak, and do not regard all of My words with disdain. 8. I very much hope that all of you can read My words over and over again—thousands of times—and even know them by heart. Only that way can you not fail My expectations of you. However, none of you are living like this now. On the contrary, all of you are immersed in a debauched life of eating and drinking your fill, and none of you use My words to enrich your hearts and souls. This is the reason I have concluded that mankind’s true face is one that will always betray Me and no one can be absolutely faithful to My words. 9. You cannot leave God’s words behind or turn a deaf ear to them; you must figure them out carefully, repeat your pray-reading, and grasp the life within the words. Don’t engage in futility by wolfing them down without giving yourself time to digest them. Do you rely on God’s words in everything you do? Don’t talk big like a child and then get all in a muddle whenever anything crops up. You must exercise your spirit every hour of every day, don’t relax even for a moment. You must have a keen spirit. No matter who or what you may encounter, if you come before God you will have a path to follow. 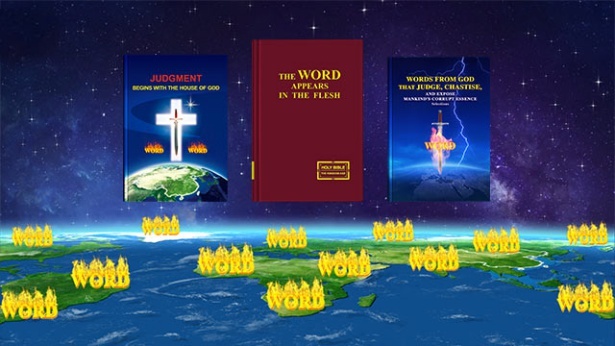 You must eat and drink God’s words every day, figure His words out without being negligent, make more effort, get it right down to every detail and equip yourself with the complete truth so as to avoid misunderstanding God’s will. 10. At all times, My people must be on guard against the cunning schemes of Satan, protecting the gate of My house for Me, able to support each other and provide to each other, which will stop you falling into Satan’s trap, at which time it will be too late for regrets. Why am I training you with such urgency? Why do I tell you the facts of the spiritual world? Why do I remind and exhort you time and time again? Have you ever given this any thought? Have you ever figured it out? Thus, you not only need to be able to become seasoned based upon the foundation of the past, but, moreover, to expel the impurities within you under the guidance of the words of today, allowing each of My words to take root and blossom within your spirits, and more importantly, to bear more fruit. That’s because what I ask for is not bright, lush flowers, but bounteous fruit—fruit, what’s more, that does not go bad. 11. At its core, your goal is to let God’s word take effect within you. In other words, it is to have a true understanding of God’s word in your practice of it. Perhaps your ability to receive God’s word is poor, but when you practice the word of God, He can supplement the flaw of your poor ability to receive, so not only must you know many truths, but you must also practice them. This is the greatest focus that cannot be ignored. 12. In your lives I see much that you do that is irrelevant to the truth, and so I am expressly asking you to become servants of the truth and not be enslaved by wickedness and ugliness. Do not trample on the truth or defile any corner of the house of God. This is My admonition to you. 14. Training a group of good soldiers of the kingdom is not the same as training men who can only talk about reality or men who only boast, but it is training men who can live out God’s words at all times, who are unyielding regardless of the setbacks that they face, and who live in accordance with God’s words at all times, and do not go back to the world. This is the reality that God talks about, and this is God’s requirement of men. 15. Blessings cannot be received in a day or two; they must be earned through much sacrifice. That is, you must have refined love, great faith, and the many truths that God asks you to attain; in addition, you must be able to set your face toward justice and never be cowed or submit, and you must have a constant and unabating love for God. Resolution is demanded of you, as is change in your life disposition; your corruption must be remedied, and you must accept all the orchestration of God without complaint, and even be obedient until death. This is what you ought to achieve. 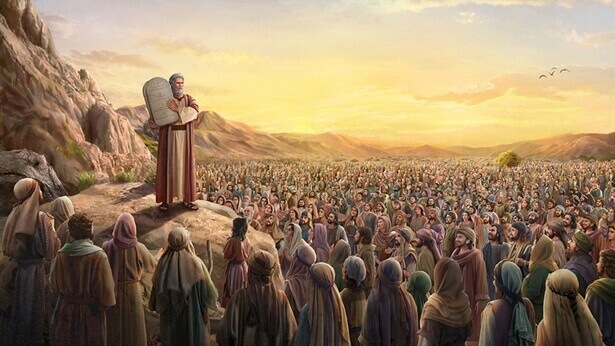 This is the final aim of God, and the demands God asks of this group of people. As He bestows upon you, so too must He ask of you in return and make of you fitting demands. Therefore, all the work of God is not without reason, and from this can be seen why God time and again does the work of high standards and strict requirements. This is why you ought to be filled with faith in God. In short, all the work of God is done for your sake, so that you will be worthy to receive His inheritance. This is not so much for the sake of God’s own glory but for the sake of your salvation and for perfecting this group of people deeply afflicted in the unclean land. You must understand the will of God. 16. In this stage of work great faith and great love are required of us. We may stumble from the slightest carelessness because this stage of work is different from all the previous ones. What God is perfecting is mankind’s faith—one cannot see or touch it. What God does is convert words to faith, to love, and to life. People must reach a point where they have endured hundreds of refinements and possess faith greater than Job’s. They need to endure incredible suffering and all kinds of torture without departing from God at any time. When they are obedient until the death, and have great faith in God, then this stage of God’s work is complete. 17. And so, what I ask of you is still that you offer up your whole being for all My work, and, furthermore, that you should clearly discern and make certain of all the work I have done in you, and put all your strength into My work so it can become more effective. This is what you must understand. Desist from fighting amongst yourselves, looking for a way back, or seeking after fleshly comforts, which would delay My work and spoil your wonderful future. Doing so, far from being able to give you protection, would bring destruction upon you. Wouldn’t this be foolish of you? That which you are greedily enjoying today is the very thing that is ruining your future, whereas the pain you are suffering today is the very thing that is protecting you. You must be clearly aware of these things, so as to elude the temptations from which you will be hard put to extricate yourself and avoid blundering into the dense fog that blocks out the sun. When the dense fog clears off, you will find yourself in the judgment of the great day. 18. I have done work that can be done by no other, My only hope is that man can repay Me with some good deeds. Though those who can repay Me are very few, I will still conclude My journey in the human world and begin the next step of My unfolding work, because all My rushing to and fro in man’s midst these many years has been fruitful, and I am very pleased. What I care about is not the number of men but rather their good deeds. In any case, I hope that you prepare a sufficiency of good deeds for your own destination. Then will I be satisfied; otherwise, none of you shall escape the disaster that befalls you. The disaster originates with Me and is of course orchestrated by Me. If you cannot appear as good in My eyes, then you will not escape suffering the disaster. 19. If you just want dreams to come true, then never dream, but forever face the truth, face the facts. That is the only way to save you. What are the steps of this method in concrete terms? … I am talking to people who have been approved by God, are honest, have not seriously offended the administrative decrees, and can easily find their own transgressions. Although this is an item that I require of you that is easy for you, it is not the only item that I require of you. No matter what, I hope that you will not laugh in private at this requirement, or still more, that you will not look down on it or take it lightly. Treat it seriously, and do not dismiss it. 20. Today, I live together with you and suffer together with you. I have long since understood the attitude that mankind bears toward Me. I do not wish to make further clarification, much less give further instances of a painful subject in order to shame you. My only wish is that you keep all that you have done in your hearts so that we may tally our accounts on the day when we meet again. I do not wish to falsely accuse any one among you, for I have always acted justly, fairly, and with honor. Of course, I also wish that you could be open and magnanimous and do nothing that goes against heaven and earth and your conscience. This is the only thing that I ask of you. 21. I only hope that in the last stage of My work, you are able to perform outstandingly, are fully devoted, and are no longer half-hearted. Of course, I also hope that you all have a good destination. Nevertheless, I still have My own requirement, which is for you to make the best decision in offering up to Me your sole and final devotion. 22. No matter what God asks of you, you need only give it your all. Hopefully you are able to show your loyalty to God before Him in the end, and as long as you can see God’s gratified smile upon His throne, even if it is the time of your death, you should be able to laugh and smile as your eyes are closed. You must do your final duty for God during your time on earth. In the past, Peter was crucified upside down for God; however, you should satisfy God in the end, and exhaust all of your energy for God. What can a creature do for God? So you should give yourself to the mercy of God sooner rather than later. As long as God is happy and pleased, then let Him do whatever He wants. What right do men have to complain? 23. As a created being, you should of course worship God and pursue a meaningful life. If you don’t worship God and live in the filthy flesh, then aren’t you just a beast in human attire? As a human being, you should expend for God and endure all suffering. You should gladly and assuredly accept the little suffering you are subjected to today and live a meaningful life, like Job, like Peter. In this world, man wears the devil’s clothing, eats food given by the devil, and works and serves under the devil’s thumb, becoming trampled in its filth. If you don’t grasp the meaning of life or the true way, then what is the point of your life? You are people who pursue the right path, those who seek improvement. You are people who rise up in the nation of the great red dragon, those whom God calls righteous. Isn’t that the most meaningful life? 24. This is God’s sole request of man today—to live out the image of one who loves God, so that the light of the crystallization of God’s wisdom flashes forth in the age of darkness and so that man’s living leaves behind a radiant page in God’s work, shining forever in the East, commanding the attention of the world and the admiration of all. This, more assuredly, is the better entry for those who love God today. 25. What you have received is not merely My truth, My way, My life, but the vision and revelation greater than that of John. You have understood many more mysteries and have also seen My true countenance; you have accepted more of My judgment and known more of My righteous disposition. So, though you were born in the last days, your understanding is that of the former and the past; you have also experienced what is of this day, and such was accomplished by My hand. What I ask of you is not unreasonable, for I have given you too much and much have you seen from Me. Therefore, I ask you to bear witness for Me as former saints have done, and this is My heart’s only desire. 26. Every sentence I have spoken contains within it the disposition of God. You would do well to ponder My words carefully, and you will surely profit greatly from them. The substance of God is very difficult to grasp, but I trust that you all have at least some idea about the disposition of God. I hope, then, that you will show Me and do more of that which does not offend the disposition of God. Then will I be reassured. For example, keep God in your heart at all times. When you act, do so according to His words. Seek out His intentions in all things, and refrain from doing that which disrespects and dishonors God. Even less should you put God in the back of your mind to fill the future void in your heart. If you do this, you will have offended the disposition of God. Again, supposing you never make blasphemous remarks or complaints against God throughout your life, and again, supposing you are able to discharge properly all that He has entrusted to you and also to submit to all His words throughout your life, then you will have successfully avoided transgressing against the administrative decrees. 27. Coming to know the substance of God is no trifling matter. You must understand His disposition. In this way, you will, gradually and unknowingly, come to know the substance of God. When you have entered into this knowledge, you will find yourself stepping forward into a higher and more beautiful state. In the end, you will come to feel ashamed of your hideous soul, so much so that you feel there is nowhere to hide yourself. At that time, there will be less and less in your conduct to offend the disposition of God, your heart will come closer and closer to that of God, and gradually a love for Him will grow in your heart. This is a sign of mankind entering a beautiful state. But as yet you have not attained this. As you bustle back and forth for the sake of your destiny, who would have the inclination to try to know the substance of God? Should this continue, you will unknowingly transgress against the administrative decrees, for you understand far too little of the disposition of God. So is not what you do now laying down a foundation for your offenses against the disposition of God? That I ask you to understand the disposition of God is not at odds with My work. For if you transgress against the administrative decrees often, then which one of you can escape punishment? Would My work then not have been entirely in vain? Therefore, I still ask that, in addition to scrutinizing your own conduct, you be cautious with the steps you take. This will be the higher demand that I make of you, and I hope that you will all consider it carefully and give it your earnest regard. Should a day come when your actions provoke Me to a towering rage, then the consequences will be yours alone to consider, and there will be no one else to bear the punishment in your place. 28. You should now all look into yourselves as quickly as possible to see how much of your makeup still betrays Me. I am impatiently awaiting your response. Don’t brush Me off. I never play games with people. If I say it then I will certainly do it. I hope you can all be people who take My words seriously and don’t think that they are just a science fiction novel. What I want is concrete action from you, not your imaginations. Next, you must answer such questions from Me: 1. If you are truly a service-doer, then can you render service to Me loyally, without any perfunctory or negative elements? 2. If you find out that I have never appreciated you, will you still be able to stay and render service to Me for life? 3. If you expended a lot of effort but I am still very cold toward you, will you be able to continue working for Me in obscurity? 4. If, after you have expended some things for Me, I have not satisfied your petty demands, will you be disheartened and disappointed toward Me or even become furious and shout abuse? 5. 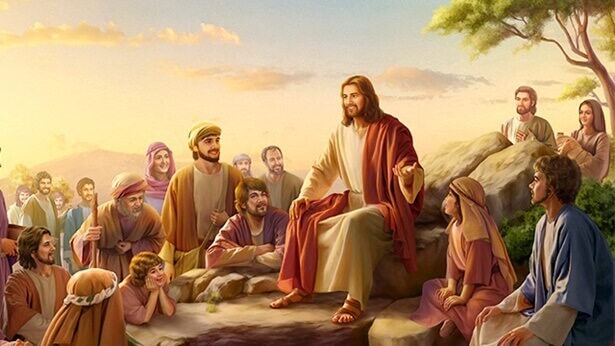 If you’ve always been very loyal and loving toward Me, yet you suffer the torment of illness, the impoverishment of life, and the abandonment of your friends and relatives or endure any other misfortunes in life, then will your loyalty and love for Me still continue? 6. If none of what you have imagined in your heart matches what I have done, then how will you walk your future path? 7. If you don’t receive anything you hoped to receive, then can you continue to be My follower? 8. If you have never understood the purpose and significance of My work, then can you be an obedient person who does not make arbitrary judgments and conclusions? 9. Can you treasure all the words I have said and all the work I have done when I’m together with mankind? 10. Are you able to be My loyal follower, willing to suffer for Me for life even if you will not receive anything? 11. Are you able to not consider, plan, or prepare for your future path of survival for My sake? These questions are My final requirements of you, and I hope you can all respond to Me. 1. You shall not pass judgment on the work of the practical God. 2. You shall not oppose the man who is testified to by God. 3. Before God, you shall keep your place and shall not be dissolute. 4. You should be moderate in speech, and your words and actions must follow the arrangements of the man testified to by God. 5. You should revere the testimony of God. You shall not ignore the work of God and the words from His mouth. 6. You shall not imitate the tone and aims of God’s utterances. 7. Externally, you shall not do anything that manifestly opposes the man who is testified to by God. 8. You must not deceive or conceal anything from the God that stands before your eyes. 9. You shall not utter filthiness or arrogant talk in front of the God before you. 10. You shall not deceive the God before your eyes by good words and fair speeches in order to gain His trust. 11. You shall not act irreverently before God. You shall obey all that is spoken from the mouth of God, and shall not resist, oppose, or dispute His words. 12. You shall not interpret, as you see fit, the words spoken from the mouth of God. You should guard your tongue to avoid it causing you to fall prey to the deceitful schemes of the wicked. 13. You should guard your footsteps to avoid transgressing the boundaries set out for you by God. Doing so will cause you to speak conceited and pompous words from the perspective of God, and thus become loathed by God. 14. You shall not carelessly repeat the words spoken from the mouth of God, lest others mock you and the devils make a fool of you. 15. You shall obey all of the work of the God of today. Even if you do not understand it, you shall not pass judgment on it; all you can do is seek and fellowship. 16. No person shall transgress God’s original place. You can do nothing more than serve the God of today from the position of man. You cannot teach the God of today from the position of man—to do so is misguided. 17. No one may stand in the place of the man testified to by God; in your words, actions, and inmost thoughts, you stand in the position of man. This is to be abided by, it is the responsibility of man, it is alterable by no one, and doing so would violate the administrative decrees. It should be remembered by all.